Many times the best word to describe a caring nurse is, "angel." With love and compassion in their hearts, they care for their patients. This nurse carries a heart with the "caduceus" symbol as a reminder to be as wise as serpents, but gentle as a dove. Bisque porcelain figurine. 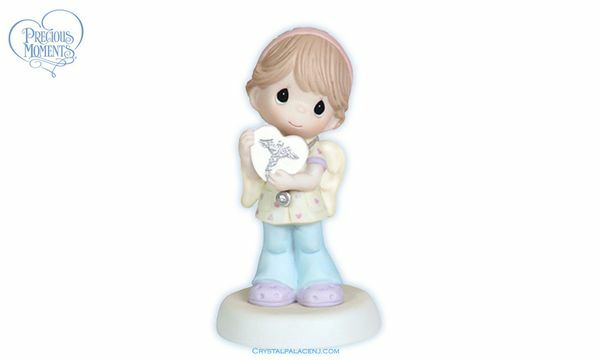 5" H.
Item#: 112013 - Height: 5"